Over the last 28 years Bill Morrice has held engineering, project management and executive leadership roles in the oil and gas industry both in the UK and abroad and gained complimentary qualifications in project management and strategic management during that period. Born and educated in Aberdeen, Bill studied Offshore Engineering at the Robert Gordon University and commenced his career in the mid-eighties with flexible manufacturer, Dunlop Armaline Ltd. He then spent two years working for Sperrysun MWD Ltd in the US before joining diving and subsea construction company, Stena Offshore in 1990. Bill spent over 10 years with the then Stena (now part of TechnipFMC). In 1995 he took on the role of manager of the company’s Well Operations Division, which was divested to Helix Energy Solutions in 2002. Following the divestment Bill joined the new Helix Management team and at the end of his nine year tenure led the Helix Well Ops business in the role of Global Vice President. Bill returned to TechnipFMC in May 2011 as Managing Director with responsibility for winning and executing subsea operations within the UKCS, offshore Northern Europe and Western Ireland. The company’s geographical portfolio was also recently extended with the addition of the Mediterranean. 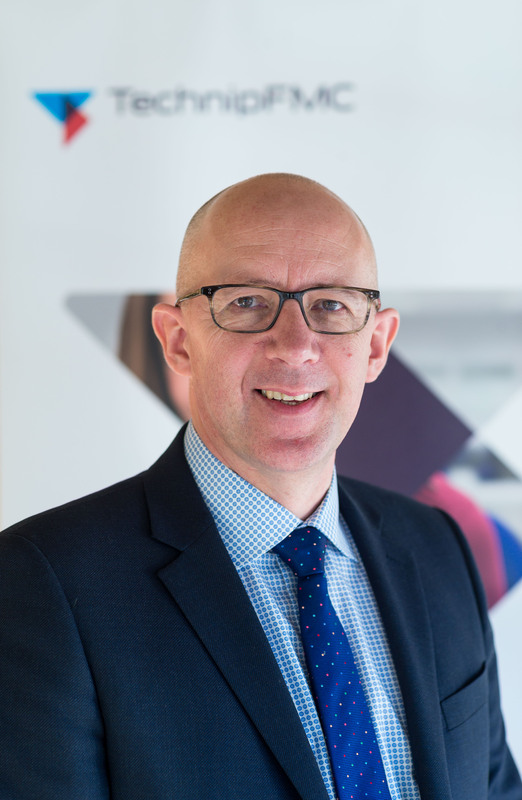 Following a merger with FMC Technologies in 2017, Bill now holds the role of Vice President, Subsea Projects & Operations Europe and is also Managing Director of Technip UK Ltd.
Outwith work, Bill lives in Aberdeenshire, is married with two children and enjoys road cycling, golf and motor racing.